10) The Greatest Gambling Stories Ever Told – A compilation of thirty one stories about gambling (duh) that range from the super funny to the super tense. 9) Bringing Down the House – The true story of a bunch of MIT whippersnappers who took Vegas for millions with a brilliant multi-player card counting strategy. You can’t count cards here, but you can play Blackjack. 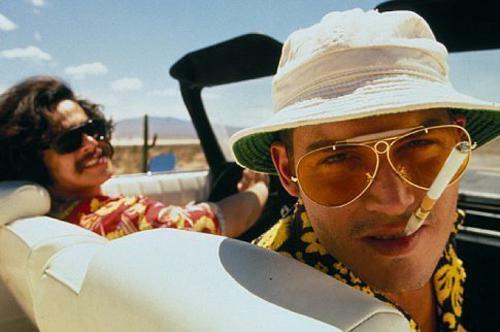 8) Fear and Loathing in Las Vegas – This cult classic isn’t about gambling per se, but it is about a drug-fueled trip to Vegas by the notorious gonzo journalist Hunter S. Thompson. 7) The Baccarat Battle Book – Everything a beginner needs to master the skills and strategy of baccarat. It’s written by one of the top authors in the field, Frank Scoblete. 6) The Horseracing Guide to the Galaxy – A beginner’s guide to betting and handicapping the horses. And if you love horses, check out our online slot Derby Dollars. 5) Casino Gambling for Dummies – Yes, it’s one of those ubiquitous “for Dummies” books, but that doesn’t mean it’s not loaded with super valuable information. Just don’t bring it into a casino with you or you’ll look like a big nerd. 4) Spin Roulette Gold – Another gem from master gamer Frank Scoblete, this one is good for beginner’s, and more advanced players. He debunks a lot of the popular roulette strategies, and lays out his own technique for owning the wheel. 3) Casino Royale – Hey, you’ve seen the movie, or both the movies, and you’re a fan of 007. So why not check out the book that started it all? 1) The Theory of Poker – this is the grand-daddy of poker theory books, by the big guy himself, David Sklansky. If you play poker, read it. If you want to play some video poker, click here.